FASCO was founded in Bologna, Italy more than 45 years ago. During this time, the company has developed from a small tool manufacturer into one of the market leaders in the field of pneumatic tools for collated fasteners. With all this concentrated Know-How, their tools are specially designed to withstand the challenges of the every day working world. 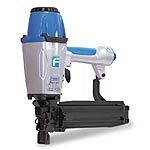 Free UPS Ground Shipping for most pneumatic staple guns. Comfortable, light weight and manoeuvrable, these tools are Fasco’s smallest staplers with long lasting components. For fasteners with leg lengths from 4 to 25 mm. Your job deserves fast, comfortable, light and durable professional tools. 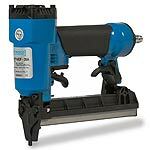 Fasco’s medium series staplers are the tools to use, when your need is for fasteners with lengths from 12 to 40 mm. 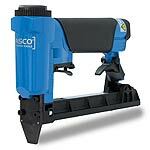 Powerful heavy duty Fasco staplers combine speed and high durability in every type of climate. 16 GA, 1-2-inch staple length. 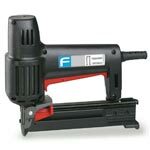 Fasco Maestri electric staple guns for upholstery, carpeting, wood applications.For #7, #8, T50, DuoFast 33, 34, 50, 54 staples. 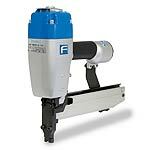 Fasco pneumatic staplers for for fencing applications, such as livestock batten fencing, electrified single wire etc. Uses 10-1/2 GA fence staples.